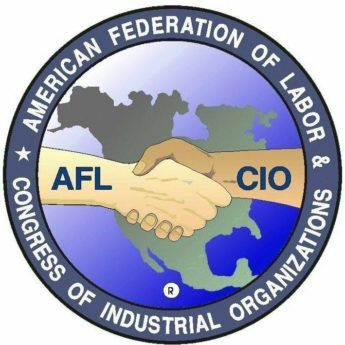 Locals must be affiliated and in good standing with the SC AFL-CIO. Anyone in the immediate family of a union member is eligible to apply for the scholarship. Immediate family is defined as: husband, wife, child; including step, foster and grandchildren. Applicants may reapply each year while attending college; however, only one application per student, per year shall be accepted, regardless of how many union members are in the family. 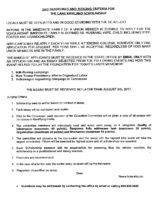 The names of applicants must be received in the state office by email only with an application and an essay selected from the following events and how this event helped to lay the foundation for today’s labor movement. Scholarship awards will be based on content of essay. Each essay will be numbered and copied. Prior to the Convention each member of the Education Committee will be given a copy of all essays with no names or identifying marks. The committee members will individually read and score each essay on 4 categories: Quality of Information (maximum 40 points), Response fully addresses task (maximum 30 points), Organization (maximum 20 points) and Mechanics (maximum 10 points). The committee will convene at the Convention and the essay with the highest total score will take the largest scholarship. Others will be awarded by highest score until all scholarships are awarded. Each Scholarship sponsor will be responsible for ensuring that the winner receives the scholarship in a professional and timely manner. In the case of a tie the date the earlier entry will be the tiebreaker. Please click the link below to download the official application!